The Maltese love their Rabbit. 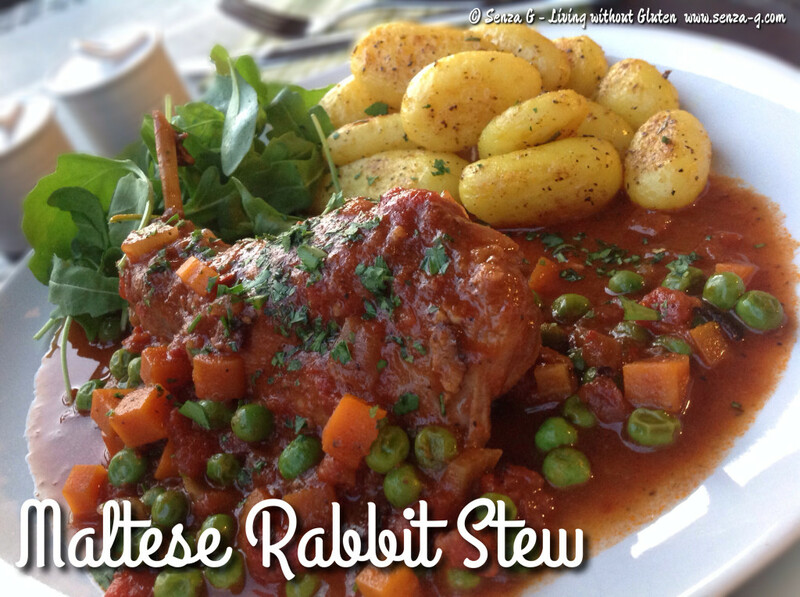 A traditional dish, Rabbit is either cooked as a stew or braised in white wine and garlic. Both are delicious. Everyone gives their Rabbit Stew their personal touch. This is mine. Hope you will like it! Take a large ziplock freezer bag and put the tapioca starch and mustard powder in it. Add some salt & pepper. Throw in the rabbit pieces and shake to coat. In a large pan, fry the rabbit pieces in a little olive oil. When browned, put in a bowl and set aside. Sauté the onions and when translucent, add the celery and the carrots and cook for a few minutes. Add the chopped bacon and the garlic. Put the rabbit pieces back in the pan and add the red wine. Cook for a further few minutes and add the stock, polpa, tomato paste, sugar, spices, fresh sprigs and bayleaves. Bring the sauce to a boil and then reduce the heat and leave to simmer, occasionally giving it a stir, until the rabbit is tender and sauce is reduced. Towards the end of cooking time, remove the sprigs and bay leaves, add the frozen peas and freshly chopped parsley. Serve with roasted potatoes or home made french fries. 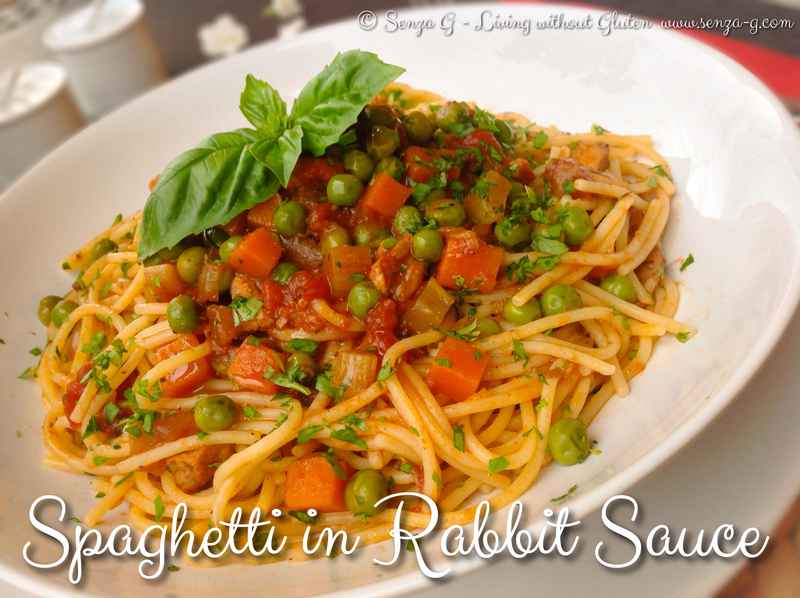 You can use this same sauce to serve Spaghetti with it as a starter, accompanied by some freshly grated Parmesan Cheese.